I have the luxury of working from home and I live on a farm where I grow all of my own food, but I know that a lot of people don’t live like this. So for anyone who is in a hurry to put dinner on the table for their family or for themselves I have put together some quick and easy recipes. - Put all of your ingredients (except pasta lol) in a blender or food processor and blend. If it seems to thick, you can add small amounts of water or more olive oil. - Cook your pasta according to the instructions. Keep 1/2 cup of the cooking liquid. Drain and add the pesto and reserved water to your pasta. - Add chopped fresh veggies like cherry tomatoes, spinach or roasted peppers. 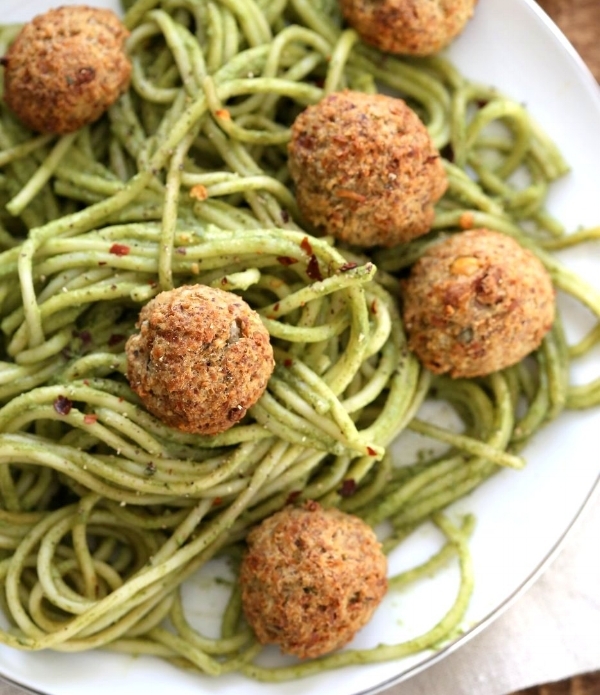 - Add zucchini “meat” balls (recipe below). - Mix all of the ingredients together in a bowl. If the mixture seems to dry add a small amount of nut milk. If it seems to wet add a small amount of corn meal or flour. - Form the mixture into balls (you can refrigerate at this point to cook later). - Heat the oil in a large pan over medium high heat. - Cook and turn the balls until they are golden brown. Remove and place on a paper towel. - Heat up your broth in a large pot over medium high heat. - Add your rice noodles and cook for 2-3 minutes. - Add your frozen vegetables and cook for 2-3 minutes. - Take off the heat and add your sprouts, basil, cilantro and mint. - Serve and top with lime juice, additional soy sauce, hot sauce, sliced hot peppers and peanuts. 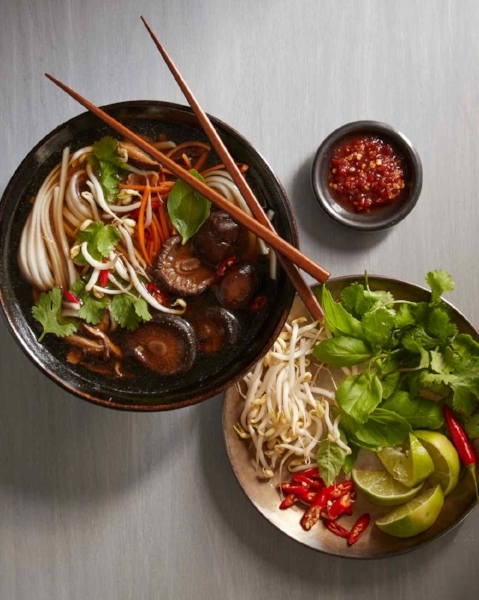 ** If you can’t find Pho broth you can use vegetable or mushroom broth. Heat the broth up and add 1/4 cup of chopped onion, 1/4 cup of soy sauce, a couple of slices of ginger, 2-3 pieces of crushed garlic, a piece of star anise, 2-3 whole cloves and a piece or a pinch of cinnamon. Heat up and simmer for about 20 minutes, then strain and use in place of the broth above.